Presidential Place are exclusive luxury condominiums on the grounds of the Beach Club of the famous Boca Raton Resort in Boca Raton, Florida East of South Ocean Blvd. and north of East Camino Real. Oceanfront living has never been as exquisite as it is at Presidential Place. Constructed along the renowned South Ocean Boulevard, Presidential Place is perfect for those seeking year-round beauty along with the amenities you have come to expect in a Florida beach lifestyle. Situated in a prime location, Presidential Place is close to the fabulous shopping and culture of downtown Boca Raton. Enjoy a privileged lifestyle the way it was meant to be lived—right on the water with everything at your fingertips. Relax the day away in a private beach side cabana and float leisurely in a seaside swimming pool that has an attendant to ensure you have everything you need. Premier Club Membership is offered for Presidential Place residents to enjoy for four championship golf courses, tennis courts, and a fitness center with spa. Day-to-day life is also made extremely easy at Presidential Place. Want to get in better shape? Take advantage of the on-site personal trainers and state-of-the are fitness facility and equipment. Residents can also enjoy maid service, a full-time doorman, valet parking and around-the-clock concierge service. The grounds are patrolled 24-7 with an on-site security guard. 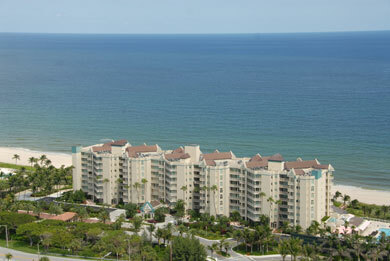 Presidential Place features 42 high-rise oceanfront condos ranging in size from 2,100 to 8,500 square feet. A true Florida luxury lifestyle awaits in your own oceanfront condominium with spacious rooms and amazing views.